From Kalki Purana Divine Secrets Chapter written by Agastya. In ancient times, in Shiva loka, Lord Shiva informed Parvathi Devi about the importance, greatness, fame & prosperity of the great Kalkipuri Temple in the birth place, established by Kalki. Siranthonkum=in a specially increased rate, Aalayamum=in the great temple (Kalkipuri Temple), Sevaimelaay Melorin=help from those at higher positions, Udavikalum=helps, Kittiyinbam=with acceptance. Mechumpadi=with prosperity, Amaithithadam=in a calm place, Giriyinpakkam=on the hill top, Sheelamudan=divine, Thuvakkangal Niraivumnantraay=will begin in a good manner and get completed, Sirapputhaan=will give blessings, Ayaldesha Makkalukkum=also to the foreign devotees, Makkalukkum=devotees, UnSevai Prabaliyankal=will serve you (Kalki) sincerely. Mahilnthiduvar=with prospering interests, UnKarunai Thannalthaane by Your (of Kalki) blessings, Thakkathoru=with all greatness, Seedarkalum=also to the disciples (devotees), Anbinodu=will be accepted, Dharaniyellam=all around the world, Pukalpparavum=world renowned, KalamPinne=there is the time. In ancient times, in Shiva loka, Lord Shiva informed about the importance, greatness, fame & prosperity of the great Kalkipuri Temple established by Kalki. Lord Shiva informed Parvathi Devi now Kalki has a great Temple (Kalkipuri). 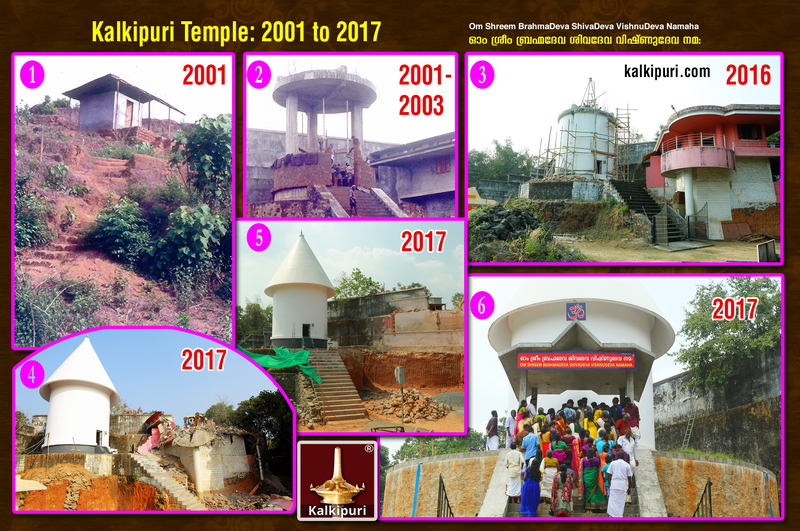 With the sincere services of devotees at higher positions Kalkipuri Temple will achieve progression. Kalkipuri Temple is situated on a hill top (in the birth place of Kalki) in calm and peaceful atmosphere. The construction of Kalkipuri Temple will be completed beautifully. Devotees from the foreign countries (like those over here) would achieve blessings and serve You (Kalki) sincerely. Devotees from all around the world will get Your (of Kalki) blessings and accept with respect. 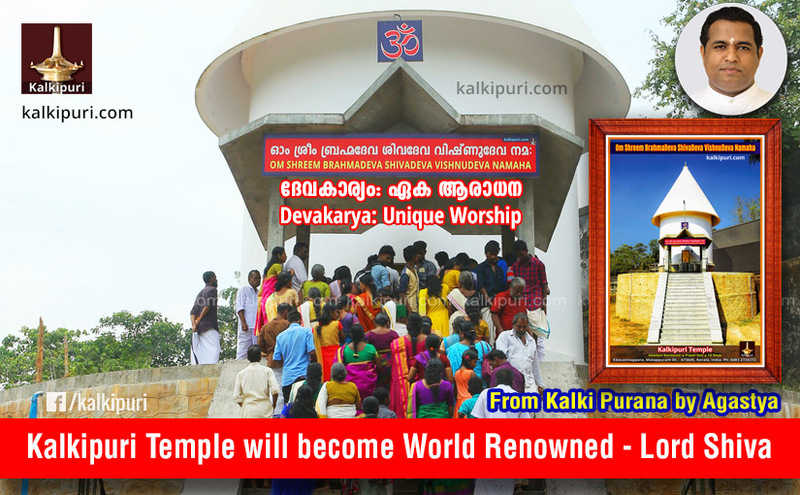 Lord Shiva informed Parvathi Devi that there is the time for Kalki and Kalkipuri Temple to become world renowned. Video of Maha Shiva Nadi Sukshmal Sukshmam Chapter Palm Leaves recorded on 16th Nov 2004 from the Nadi Office of A. Sivasamy, S/o V.S. Arulsiva Arumugam, Vaitheeswaran Koil, Nagai (Dt), Tamil Nadu, India. By Our blessings, Kalki exists in oneness beyond caste and religion. Lord Shiva informed to Parvathi Devi.